I read that this morning and I can completely relate it to this passing weekend. As I had 2 full days for myself…, without any family gatherings or evening events I was terrified that this will be boring and lonely time. Hmm I guess I should stop thinking this way. This just sets my mind in a mood of doing something all day long. I had three classes to teach this weekend and that’s Ok. Besides that I came up with all sorts of housework. I’m not even going to mention “feeling guilty” that I didn’t go to the gym since I could of, just didn’t feel like it. And of course it’s a weekend so we should eat something yummy. I have this huge craving of treating myself with a lasagna for a while. My IBS doesn’t really like it so some cravings needs to wait until I can not handle it anymore;) Yesterday I finally made my experiment work. 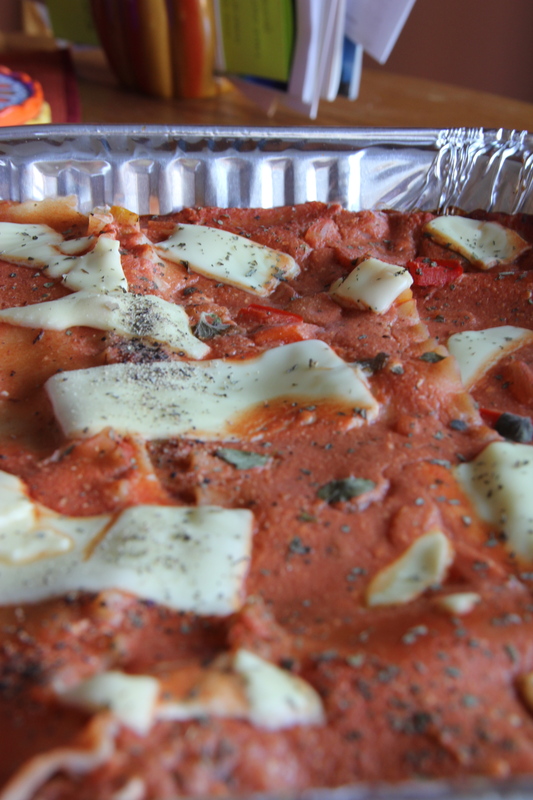 Vegan TVP Lasagna turn out great without any unusual “belly behaviors” this morning. I used: Brown Rice Pasta from All Natural “Rizopia”, TVP, “Veggie Slices” soy-based mozzarella, pure tomato sauce, spices and veggies such as asparagus, red, yellow peppers, zucchini, onion. 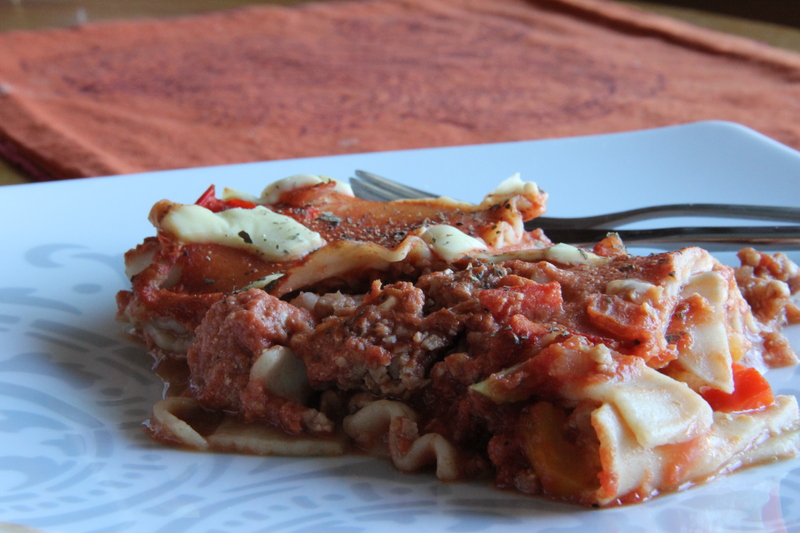 Treat everything like for a usually lasagna. Cook pasta al dente, saute veggies in tomato sauce with spices- make your sauce thick! Prepare TVP on the side. Then layer sauce, pasta, TVP and mozzarella and so on. Put into the oven in 375F for around 40 min. Another thing I have in mind for a last few days is something with chocolate and pumpkin. Blend ½ ripe avocado, nuts of your choice(e.i. 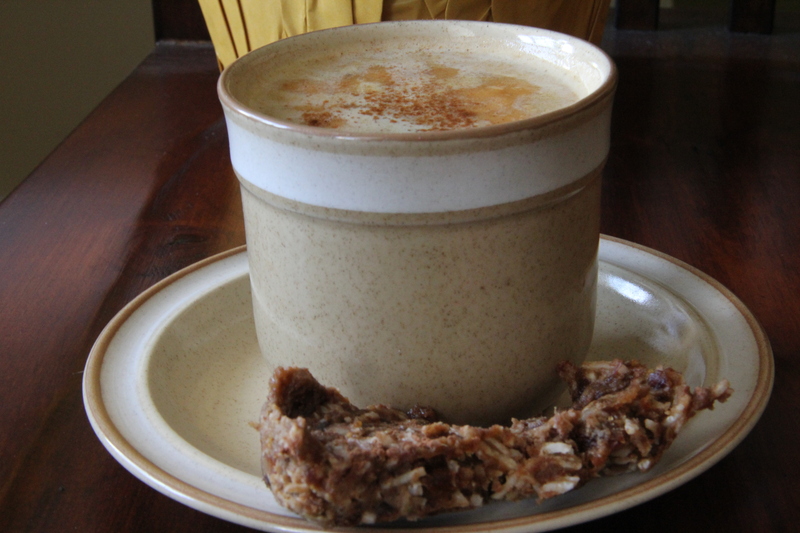 1/2 cup walnuts, almonds), 1-2 tsp cocoa powder. Layer on raw coconut flakes, mash it and freeze overnight. Next day just cut into the shape you desire. Pumpkin Spice Coffee-it’s the season right? Since everyone is talking now about the pumpkin season how could I miss that. Here it is. Blend pumpkin, milk and spices together. Heat it on the oven or microwave to make it warm. Pour coffee to the cup and milk pumpkin on top. Finally it’s late Sunday night-beauty time. Last craving of this weekend – hot bath with some essential oils to relax before next week. And maybe I will add some meditation at the end.